Location, location, location! Very convenient and easily accessible first floor secluded corner unit. 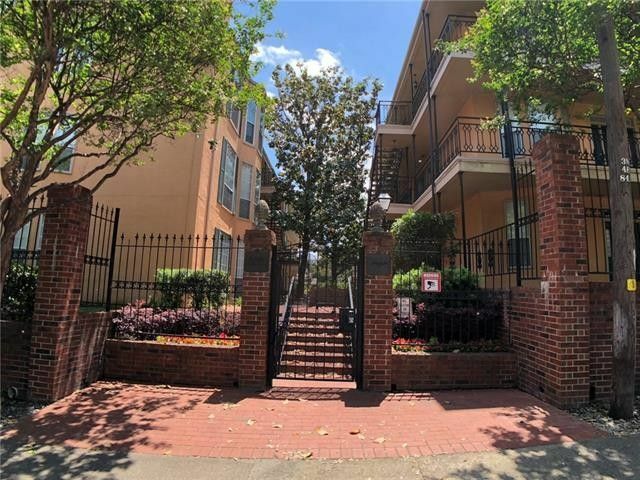 New Orleans style condo in the heart of Lakewood, walking distance to restaurants, shopping, Whole Foods, clubs & pubs. 2 separate suites with large updated bathrooms and walk-in closets. New interior paint, wood floors throughout, new stainless steel appliances, double door refrigerator with ice & water dispenser, washer & dryer remain. Living room has wood burning fireplace & built-in cabinets & bookcases. Community pool & cabana. Minutes to downtown, White Rock lake and Dallas Arboretum. Gated community with 2 assigned covered parking. Directions: From Gaston Ave go north on Abrams Rd, left on Richmond Ave. Unit is at the far left front corner of the complex, building D4.